Meet 32-year-old Mabinty from Tombo eastern area in Freetown. She is married with 3 children who are currently attending school. Mabinty established her local food business. She began her business because she wants to generate income to take care of her family. She works at the business 7 days per week. She says that the main challenge to her business is transportation problem within her operation area. 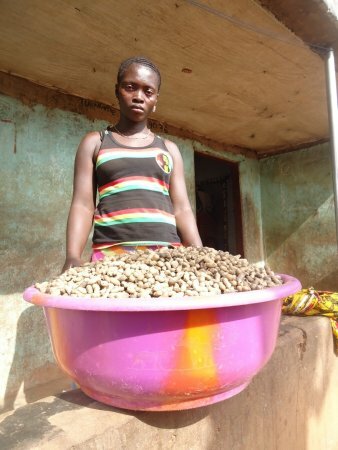 Mabinty requires a loan in order to purchase more groundnut to expand her business. She hopes that the extra income from this loan will allow her to educate her children, and increase her business. In the future, Mabinty plans to expand her business to a higher level. She thanks you for your support. Congratulations to Mabinty in Sierra Leone..!